My passion for climbing and the outdoors started in the 1970s when, at the age of 13, I started biking up to Almscliffe Crag for a scramble on the rocks - and it's still going strong. In many ways I have the perfect job, as I enjoy working with people and working out the best approach for them. I love the environment in which I work and I am keen to share this with my clients. I also enjoy climbing in all its forms from bouldering through to mountaineering. I regularly boulder, trad climb and sport climb. In the past I have done a lot of winter and alpine climbing but not so much these days. 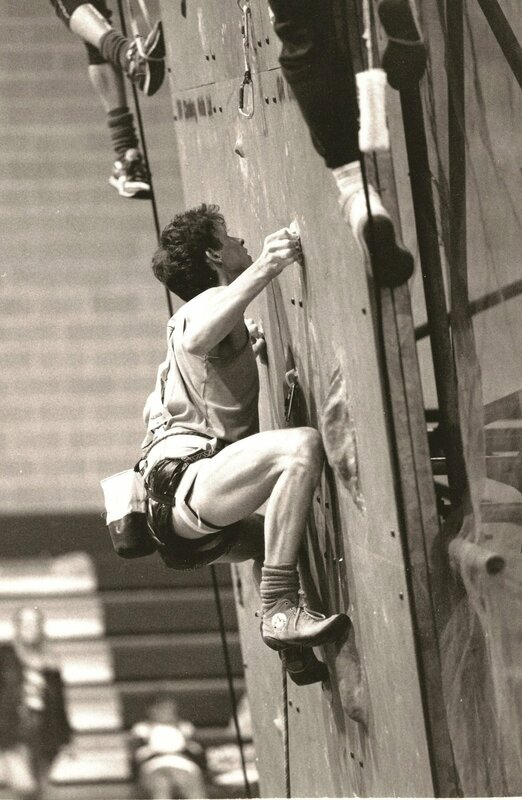 I have been a member of the GB Climbing Team (lead climbing) and I also took part in numerous bouldering competitions throughout the 1990s. A typical day out with me will feel safe; it will also incorporate an element of new learning, as well as some challenge. And it will definitely be fun! I climb whenever I can and I am still always trying to improve, which keeps it interesting. I am a qualified mountaineering instructor and development coach. I am also a BEd (Hons) physical education teacher. Holding these qualifications gives me a wide remit and keeps my work varied and engaging.